B. Robertson, Elisabeth Frink Sculpture Catalogue Raisonné, Salisbury, 1984, no. 172, p. 172, another cast illustrated. 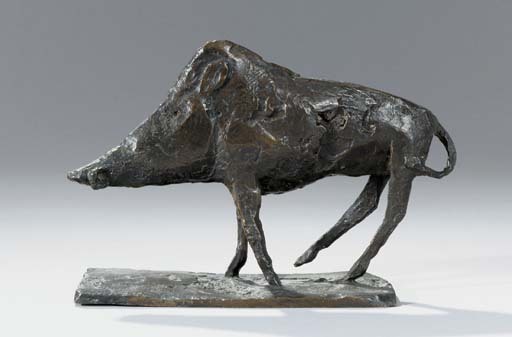 Frink comments on the inspiration for the present work, 'One of the reasons I started sculpting boars was that when I lived in France, in the Cevennes, we were surrounded by woods and we could actually see wild boars, especially at night. On moonlit nights they'd be making their passages down to the Camargue. They're very fascinating, shy creatures. I was attracted more by their emblematic than by their sculptural qualities' (see E. Lucie-Smith and E. Frink, Frink A Portrait, London, 1995, p. 123).